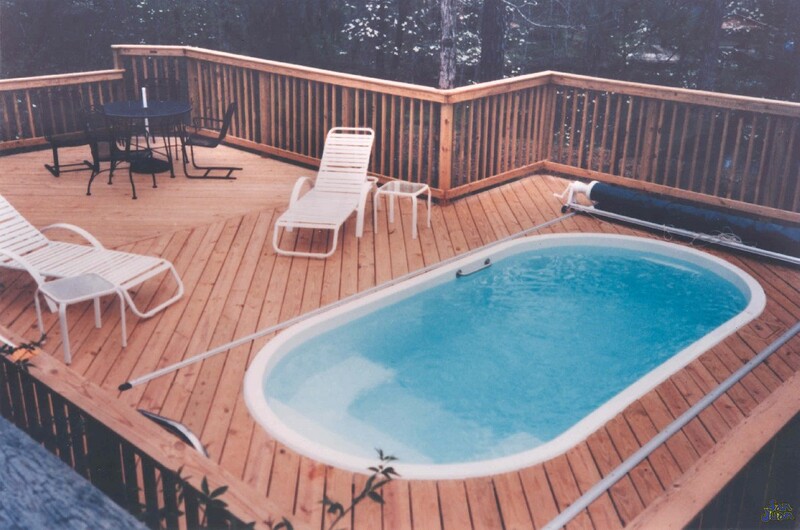 The Fort Meyers is one of our original fiberglass pool designs. In fact, we’ve brought out the old-school images to showcase how long this pool has been around. 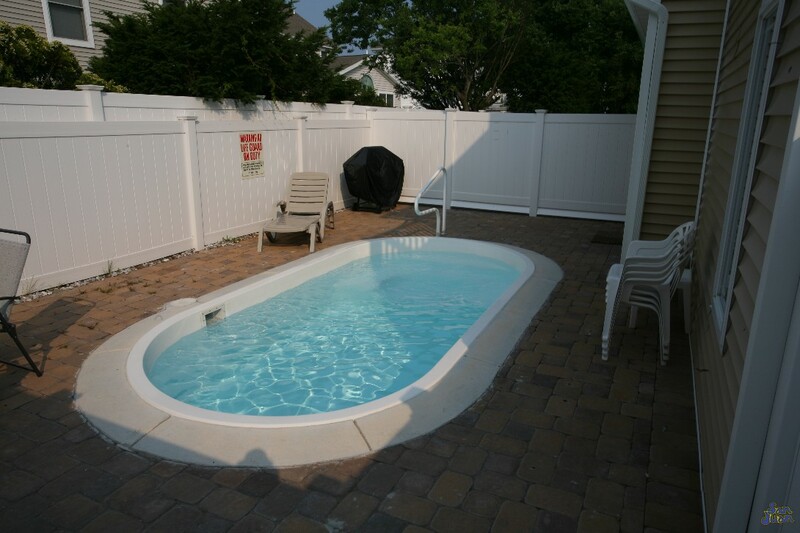 It’s petite size of only 2,650 gallons makes it one of the smallest fiberglass pools we have to offer! 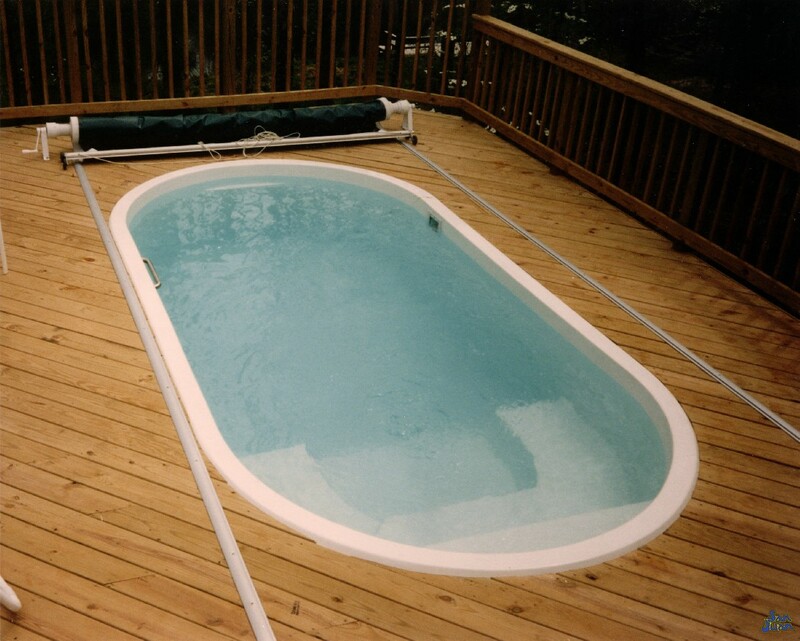 Just to showcase how long we’ve been manufacturing fiberglass pools, we’ve brought out some of our original photos. The Fort Meyers is one of our first designs and has been a fantastic member of our fiberglass pools selection since the beginning. There is no other pool shape like it on the market today. It’s petite size and flat bottom design make it perfect for soaking & limited swimming. 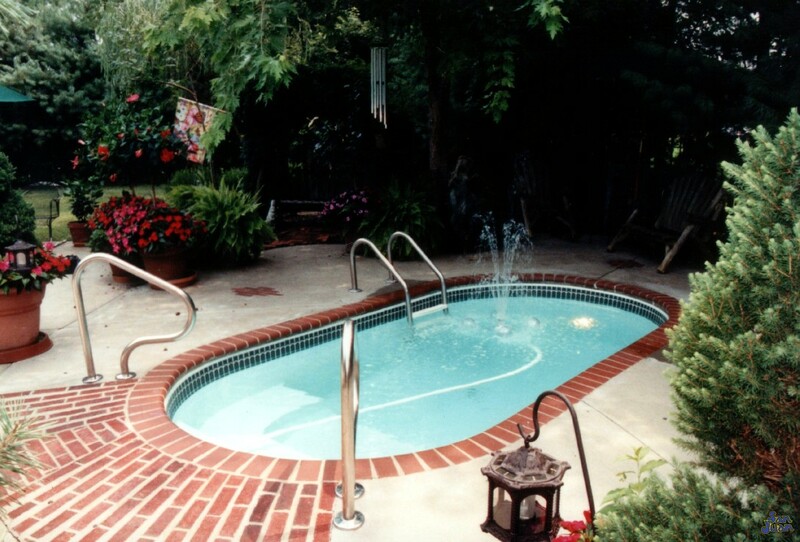 This fiberglass pool model is most popular in retirement communities and residential homes for physical therapy. It’s both safe and easy to enter and exit due to it’s curved shallow end step system. Secondly, it’s petite size of only 2,650 gallons makes it extremely easy to care for. We recommend adding a long figure-4 handrail to make entry and exit from this pool a breeze. You’ll love it’s petite size and the ability to keep it warm with less energy consumption. 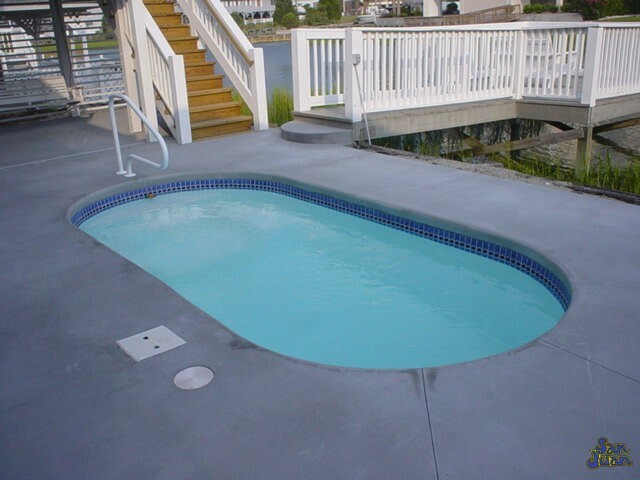 One of the most popular benefits of The Fort Meyers pool shape is the curved shallow end step system. This custom designed step system allows the swimmers to have a wide seating bench for multiple swimmers. Secondly, the Fort Meyers provides plenty of space for the swimmers to coast into its shallow 4′ deep waters. This system is so comfortable that you’ll find swimmers regularly transitioning between bench seating & swimming. It’s an exceptional pool for water therapy and is bound to enhance your health & lifestyle just by owning it. We have loved The Fort Meyers ever since we first introduced it back during our company’s inception. We have sold literally thousands of Fort Meyers pools over the years and still have original units in backyards today! This is one of our legacy pool shapes and we love the timelessness of it’s design. It’s stuck with us through the years and will provide you with hours of outdoor fun & activity! In conclusion, the Fort Meyers is an award winning pool design. It’s shallow depth of only 4′ provides safe and easily accessible swim spaces. Easily transition into it’s waters from the curved shallow end step system. Lastly, it’s petite size makes taking care of it a breeze. It’s one of our award winners and a timeless classic. We’re glad to be a part of its history and know that you’ll love it too!